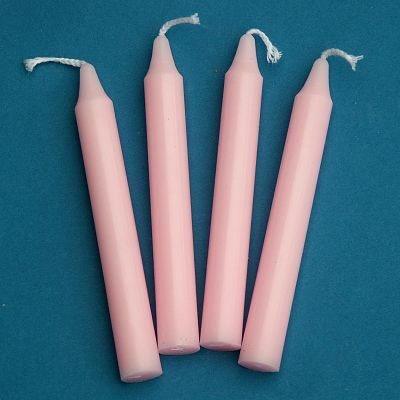 - Set of 4 pink candles. Often used for matters of Romantic love, friendship, compassion, relaxation. Pink candles can be burned during rituals designed to improve self-love. They're ideal for weddings and for all forms of emotional union. Approximately 1/2" in diameter by 4" long. Do you have any other questions about our Pink Candles - set of 4 mini candles?